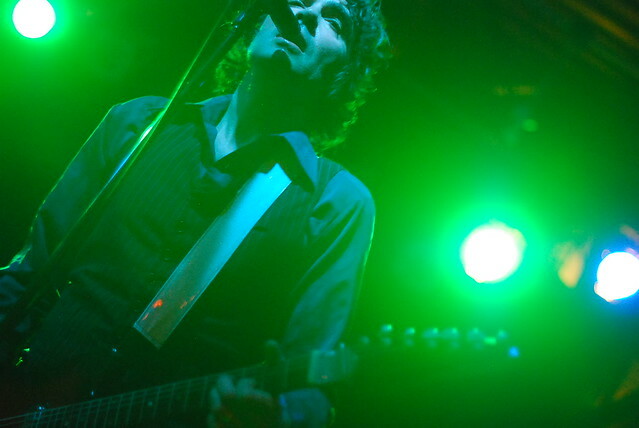 Matt wrote about last night’s show, and interviewed Jon Spencer, over at Speakers in Code. I was deeply smitten with the opening set from Pittsburgh’s Shockwave Riderz, Dex and Sara Romweber are always joys to watch (wouldn’t it be nice if you could, in your 40s, decide that what you wanted to do with your life was play fucked up weirdo genius surf punk and just automatically have a sister to drum for you? Instead, my sister will have to litigate for me, and I will take photos for her and advise her on retirement), and JSBX blew my face off. What a great rock show.